Mazu Yachts announced the sale of Hull No. 1 of its latest model, the Mazu 82, to a Turkish owner. The Mazu 82 is the largest yacht yet from Mazu, coming on the heels of its successful introductions of 38-, 42-, and 52-foot yachts. The Mazu 82 will combine a clean profile line with expansive decks, with which admirers of the Mazu line are by now familiar. Mazu Yachts are all designed by the yard’s founder Halit Yukay, who, through his vast experience at sea, understands what is most important to boaters. 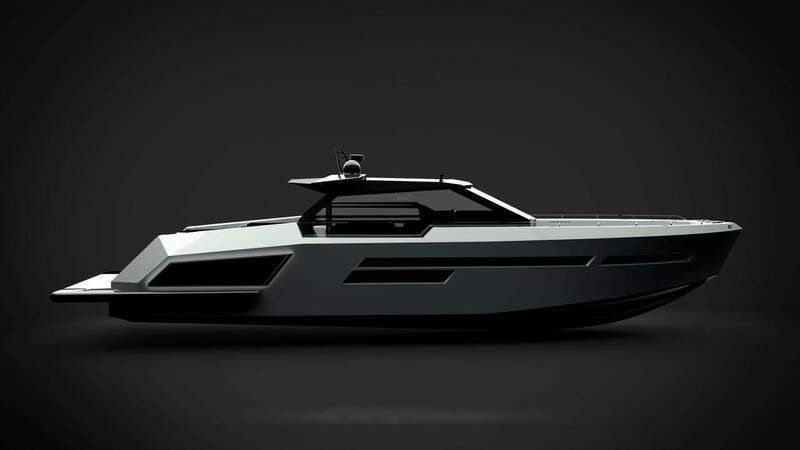 Mazu Yachts worked with designer Tanju Özelgin to create a unique feel in the spaces on the Mazu 82. This Turkish designer and founder of TO Studio and Parlak Kirmizi has worked for the last 20 years creating interiors and objects suffused with meaning through a combination of form and material. This is the first time Mazu has used a dedicated interior designer to optimize the yacht’s onboard spaces, yet also create a vibe that’s understated and elegant. Özelgin worked with Mazu’s generous volume and large hullside windows to continue the vibe to the amidships, full-beam master, which will combine subtle textures, muted colors, and both direct and indirect light to create a relaxing escape to solitude for the owners. The Mazu 82 will be built of a carbon composite in a lightweight sandwich construction providing the rigidity and strength needed to create the necessary deck space and interior volume with large hullside windows while allowing for the expected performance.